The 23rd Olympic Winter Games began at PyeongChang, South Korea, with a spectacular ceremony with the essence of the theme of peace between the two Koreas. In the presence of 35,000 spectators at the Olympic Stadium, at a temperature of -12 degrees at 20:00 in local time, the opening ceremony started with the overtaking of the athletes of the 92 participating states. At the end of the ceremony, both Koreas, North and South joined together under a common flag. 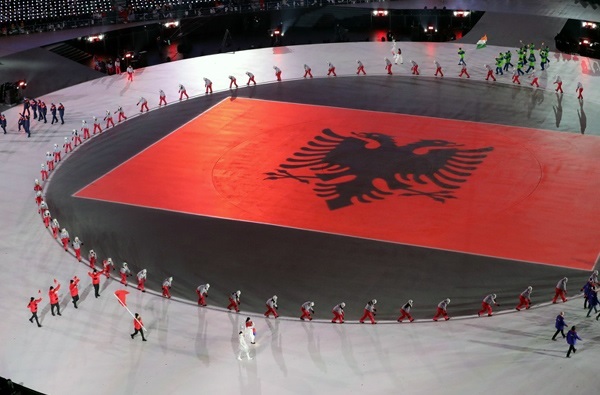 Meanwhile, Albania participates in these Winter Olympics with two skiers, Erjon Tola and Suela Mehilli. Together with them is the Italian coach Marko Teroni after both athletes train in Italy as there are no basic conditions in ski sports development in Albania. Our athletes will compete in the second week of the Winter Olympics, as the giant and special slalom discipline develops at the end of the event. The Winter Olympics will be held for about two weeks and on February 25, the closing ceremony will take place.